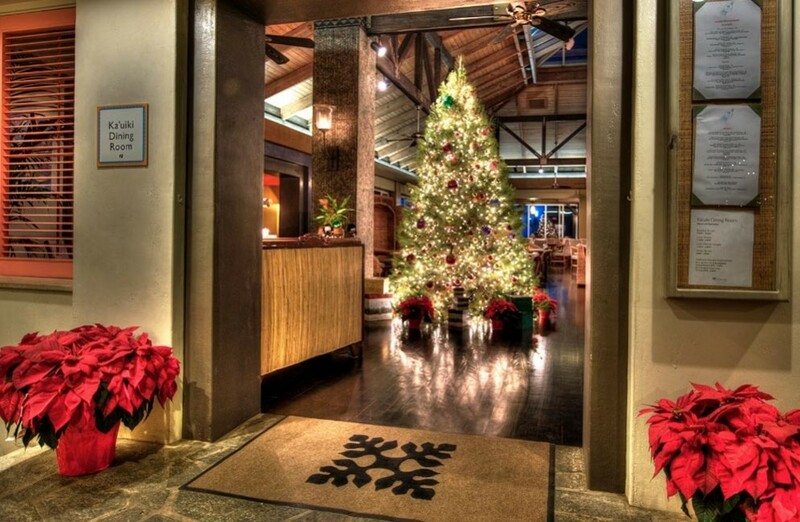 Hawaiians celebrate the holidays in festive fashion, putting some distinctly island twists on timeworn traditions. Here’s what to expect – and what not to expect. You won’t see Santa and his reindeer soaring through the night skies on Christmas Eve. Mr. Claus – Kanakaloka in Hawaiian – is said to make a more island-appropriate entrance, paddling in on a red canoe. He might even be wearing a lei. Plenty of Hawaiians have traditional fir Christmas trees during the holidays, but the trees have to be shipped in by boat. Some islanders opt for a closer-to-home option. Expect to glimpse Island Norfolk Pines, one of the few pine trees that grow here. But you’ll most likely see palm trees decked out for the season. A white Christmas in Hawaii? Well, it’s not likely. But a fair amount of snow does fall every year at the summits of the island’s three tallest volcanoes, Mauna Loa, Mauna Kea and Haleakala. Believe it or not, there’s even a Hawaii Ski Club. During December, some Hawaiians drive to high elevations, fill their pickups with snow and bring a big pile of the powder back down for snowmen, snowball fights and more. Mele Kalikimaka! You’ll hear this phrase a lot during the holiday season. The words are a Hawaiian phonetic translation of “Merry Christmas.” Not sure how to pronounce it? Well, Bing Crosby himself is here to help you out.